"Scrapbookers and hobby cozy fans will enjoy this delightful holiday escape." Mollie Cox Bryan writes cozy mysteries with edge and romances with slow, sweet burn. 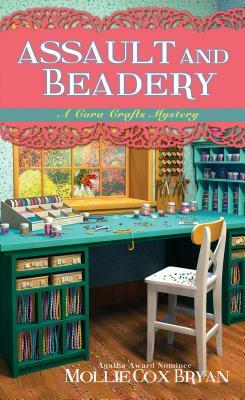 The first book in her Cora Crafts Mystery series, Death Among the Doilies, was a "Fresh Fiction Not to Miss” selection and was a finalist for the Daphne du Maurier Award. The second book, No Charm Intended, was named a “Summer 2017 Top 10 Beach Read” by Woman's World. She also wrote the Agatha-award nominated Cumberland Creek Mysteries. She makes her home at the foothills of the Blue Ridge Mountains in the Shenandoah Valley in Virginia, where she works as a researcher and fact checker and writes in the early morning hours. Visit her and sign up for her newsletter at molliecoxbryan.com.